FRASER, Mich. – The Metro Jets have a hat trick of NCAA commitments. 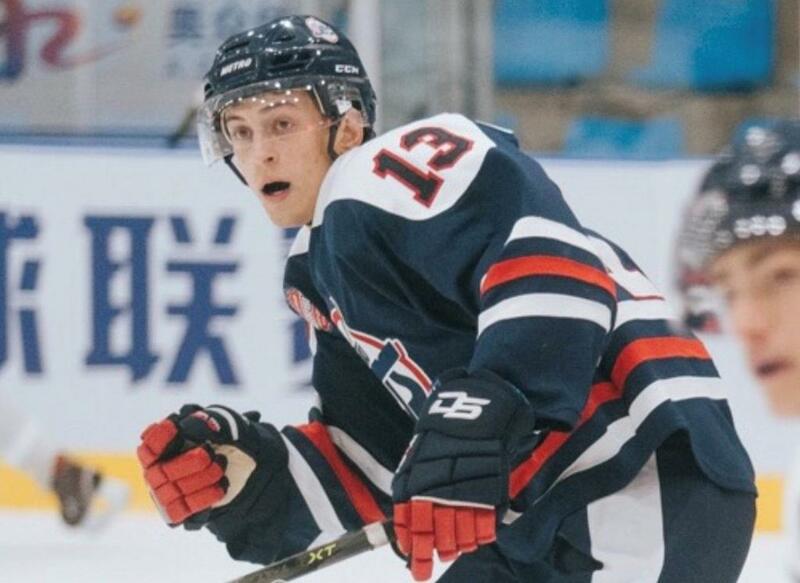 After defenseman Devlin Macaulay and forward Jhuwon Davis each decided on New England College last month, forward Josef Mehall is now the third NCAA commitment after choosing Assumption College last week. Mehall is the Jets’ ninth college commitment this offseason. Assumption plays in the Division II Northeast-10 conference, and the school is located in Worcester, Mass. “The Assumption community is something very special and has appealed to me how welcoming it is,” said Mehall, a 20-year-old Berkley native. “I can’t wait to follow my Uncle Larry’s footsteps as a student-athlete there. Making this commitment feels great and is an important step closer to reaching my goal. This season, Mehall averaged almost a point per game on 19 goals and 25 assists for 44 points in 45 games. Jets coach-GM Justin Quenneville saw Mehall join the Jets as an unproven player last August and leave the program as a bona fide NCAA prospect. “We have known Josef for a couple years since he tried out with our team back in 2017,” Quenneville said. “What we liked about Josef initially was his work ethic and second effort on every play. He came a long way this year with his skill set and was able to take advantage of his opportunities. He took notice from schools because of that work ethic and his versatility. “Assumption will get not only a hard-working player, but an extremely gifted academic student as well. He was able to use the exposure here and we are glad we were able to help him achieve an opportunity to play NCAA hockey." Mehall noted that making the decision to play in Fraser last season helped him accomplish his junior hockey aspirations. In his lone season with the Jets, Mehall said the memories are endless.